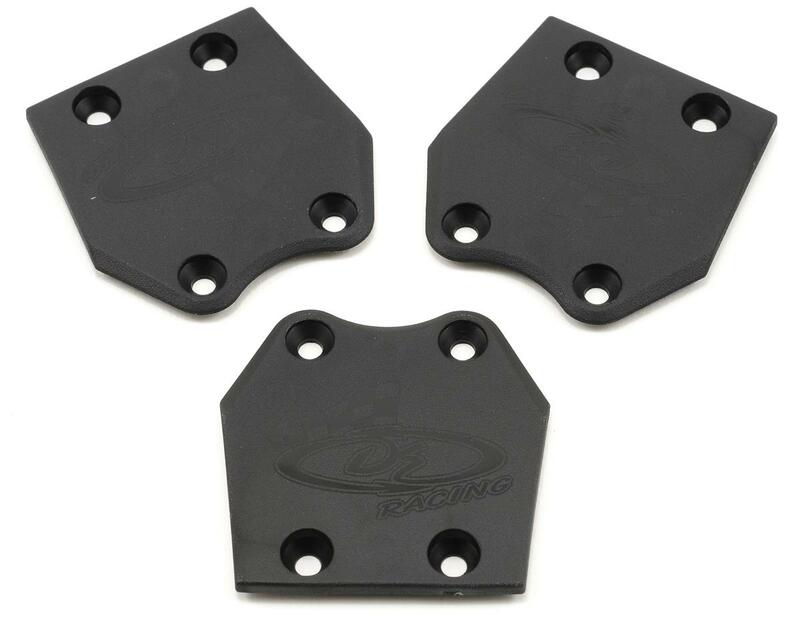 This is a set of three optional DE Racing XD "Extreme Duty" Rear Skid Plates, and are intended for use with the Jammin CR & CRT family of 1/8 vehicles. 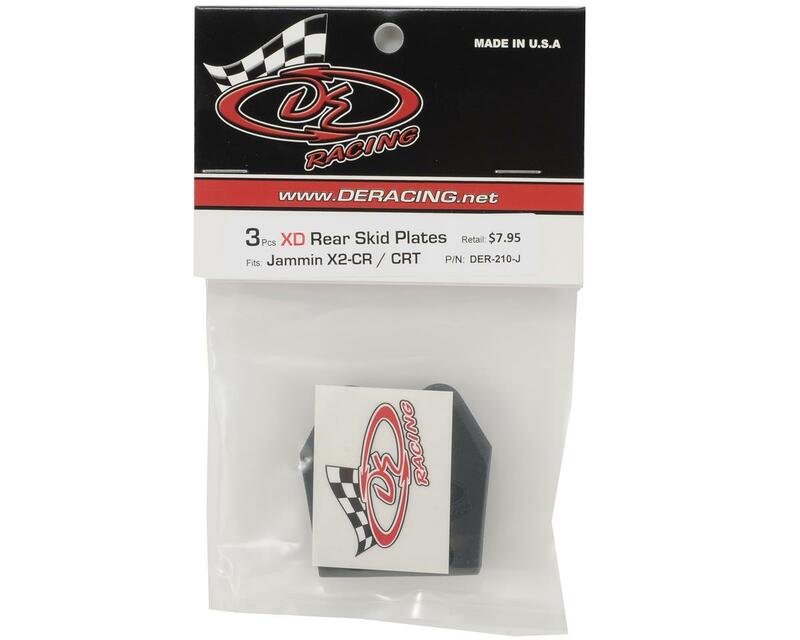 The XD skid plates are the next step in the evolution of the DE Racing Skid Plate. With a re-designed leading edge and stronger screw countersinks the XD series skid plates are more durable than ever before! The ultra thin design eliminates the need for longer screws and the proprietary resin wears like aluminum, but at a fraction of the weight and price!